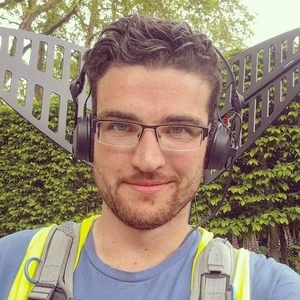 Hey it's Matt Price the London Sound Mixer from Soundrolling.com and this is all about my journey as a Location Sound professional in film and branded content and opening up a broader conversation about location sound from the business aspects to technical explanations. In the last 365 days my youtube made more daily than the bottom 10.9% of the world population. I dont have a routine for any of ky work unoess its features where ots 30 days of the same thing 6 days a week. So these are tips to get up and feel awake too! This strategy also works for other social sites with search functions :) like twitter. If you want to be successful quicker than speed is more important than almost anything else. Does Mark Weingarten Always Mic Actors? This is an extract from a chat i did with Mark Weingarten who has worked on epics like Insterstellar and if he always mics actors just to be safe? Jeff wexler and his dad had a big impacton our industry and especially Jeffs dad with championing safer hours and turnaround times in an industry that wants you to never sleep. Directors often want to cue actors while a scene is going on and encouraging them to click and clap is much easier to edit. This is abkut keeping my audio rushes orgnaised in a way that the editors can find relevant extras as needed and what mic is what, even if its just to triple check. Should You Get The Sound Devices 633 As Your First Mixer? When Do I Record Ambient Sound In Mono or Stereo? This is my thoughts on low budget narrative work vs commercial work to get into that line of work. This is about how the different wireless companies have different codes for blocks of frequencies and also how you can translate them. This is all about me using either pre fade or post fade and when I use them. This is why I use both peak and VU metering when I am sound recording to give me the best representation of the level of the sound overall. This is an overview of how Instagram TV plays into the whole Instagram ecosystem of content production and how you should get on board now before it becomes massive! This is all about why me putting out content and helping others doesn't hurt me. Your wins are not my losses. This is from my Sound Chat with Rob Nokes about the role of car mechanics in recording sessions. This is how Rob Nokes started SoundDogs.com back in the late 90s as the first online sound effects library of its scale. This is how Rob Nokes goes about recording plane sound FX. This is from my Sound Chat with Rob Nokes and about general advice for a great SFX recording session. This is some of the mic that Rob Nokes from Sounddogs.com uses for his recording sessions from cars to animals. This is Rob Nokes from Sounddogs.com SFX Libraries and one of his most memorable sound effects recording sessions. This is about the right levels for recording ambiences to then be able to mix better when mastering. This is from my Sound chat with Rob Nokes about recording cars to the extreme and sweeteners to make the cars sound even better. This is from my with rob nokes who is a sound effects recordist and mixer. This one is about preparation for a car SFX recording session. I asked Rob if he has ever needed to use an impulse response when he is recording in a unique location. I chat to Rob about what he gets asked to record the most. I speak to Rob Nokes about The Importance Of Location Scouting For SFX Recording. This is something often over looked. Rob Nokes - Is there any formula for sound effect recording success? This is from my chat with Rob Nokes, sound effects recordist and mixer and we chat about if there is any general successful approach to recording sound effects. This is with sound effects recordist Rob Nokes. This is for tips on avoiding wind on your mics when recording cars. Rob Nokes is an SFX sound recordist and describes his typical track count for recording cars. This is an interesting chat about the slow loss of respect between many departments and how we can bring it back. This is from my Chat with Jeff Wexler about how he keeps in the loop with post production practices to help him better understand post production. Jeff Wexler on moving into other sectors | Even the guy in Craft services Is making movies. This is what Jeff Wexler would do if he wanted to move on from location sound. This is what Jeff Wexler views his work life balance and how his passion is his work. This is from my chat with Jeff Wexler about the industry shifting through with new distribution models, but how new ones like HBO back in the day causing weaker contracts going forward. This is from Jeff Wexler on how the business of show business really began and interesting facts about the first studios setting up as really just side businesses from some. This is from a chat with Jeff Wexler and a trend he started to see where location sound mixers where just handing in ISO tracks without a mix track and why this is bad practice. From a chat with Jeff Wexler about how advancements have meant multitrack recording is a norm but you still need to deliver some sort of mix on location for multiple reasons. Why Jeff Wexler loves Schoeps mics when hyper cardioids where starting to cross over from music recording to location film sound recording. This is from a chat with Jeff Wexler about reasons for some productions having a growing division between production sound and post production sound. This is a chat with Jeff Wexler about how through advancements in technology are an asset if you understand the core techniques of capturing good location sound. I chat to Jeff Wexler about why modern crews in general are less knowledgeable about sound let alone other departments seemingly not related to their own. This is from when I was at BVE expo today in London and Zoom where there and so I asked about 2 new products the H1n and the F1. This is from a chat with Jeff Wexler on how shooting has changed when it comes to drama shoots. This is from a chat with Jeff Wexler on how the boom can still be used even in complex multi-camera situations by being painted out by the VFX department. He also mentions Simon Hayes and his work painting out radio mics also. I chat to Jeff Wexler on how the advancements in sound technology such as multitrack recording has brought new challenges as the rest of the industry advanced too. This is what Jeff Wexler has seen from the changes in location sound recording technology since he started working in the mid 1970's. From mono tracks through to massive file based recordings. He also comments on how it changes his work. This is all about the advantages of the dual receivers over single receivers for wireless. I sum up the main things to consider. This is all about if you had to move to a new city, country or state then what is the best way to build a new network of clients to get back to doing what you love. Work! 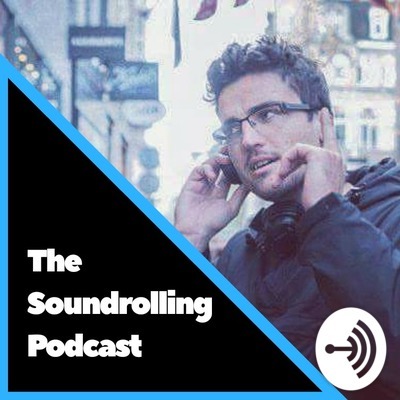 Soundrolling podcast is back and I am looking to go deep with answering your questions from call ins on the anchor app to help you record better sound or have more success as a freelancer. This one is a great setup and question about audio harnesses. 2018 Is All About Comments. Taking things to the next level in terms of all metrics is through comments. This is the new true metric to meaningful interaction. Just like you where so happy when the like button first came out. Now it's normal to like and the next dopamine fix is comments and true social interaction. First Why then What & How. This is all about rethinking where your strategy for business or freelancing come from. Are you just thinking of what to do next or how to get to the next level? If so you are missing the why. This is all about taking a step back to take 2 steps forward with giving your audience the most access to your messages and content in environments and formats they are going to be the most receptive. I give a big picture view on the 3 key areas for ANY business success. From getting more clients, charging more and getting more repeat referral work. Don't forget to join me on Anchor for even more. Today's Topic: Leverage • Why Leverage Is Important • Leverage In Biz relationships • What Are You Doing For Leverage?